Visit the working studios and galleries of hundreds of artists–painting, pottery, jewelry, glass, metal, wood and much more. Open every day. Visit the working studios and galleries of hundreds of artists in this transformed historic industrial neighborhood. 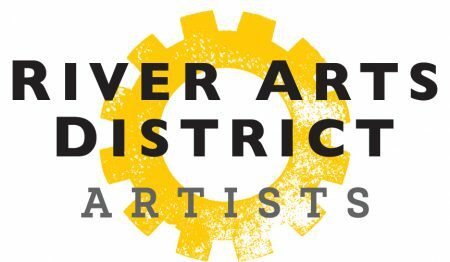 See artists at work making new creations, find original artwork and discover the jewel of the mountains in the River Arts District of Asheville, NC. The district will feature many special events and a free trolley on Saturday, April 13. Shop handmade and local on this day and all month!